PODGORICA (Montenegro), February 11 (SeeNews) - Greek oil and gas group Energean has started a 3D seismic survey of the two offshore natural gas blocks it is exploring in Montenegro, the Montenegrin hydrocarbons agency has said. 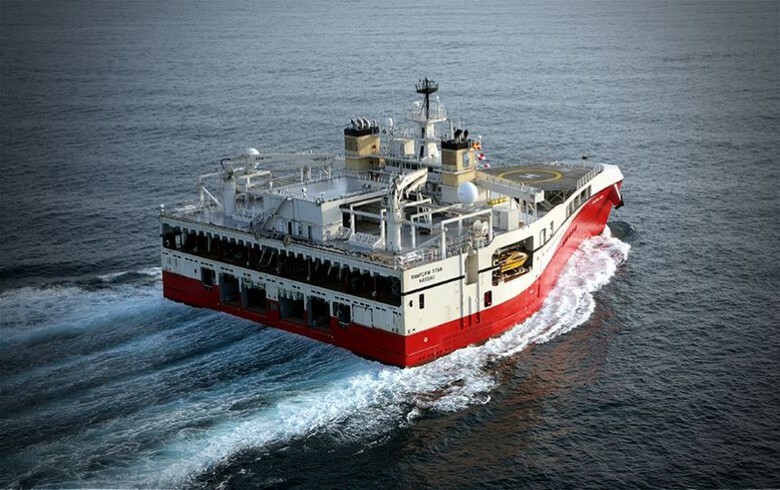 The 3D seismic survey will take eight days to complete and will be carried out by the Ramform Titan vessel of Norwegian company Petroleum Geo-Services (PGS), a contractor of Energean, the agency said in a statement on Sunday. Energean is currently the sole operator, with 100% working interest, of Montenegro's offshore blocks 4218-30 and 4219-26, covering an area of 338 square kilometres in shallow waters. The blocks were officially awarded in March 2017, following the signing of a concession agreement between the company and the Montenegrin government. The 3D seismic survey is part of a mandatory work programme covering the two blocks, which also entails geological and geophysical (G&G) studies. The total cost of this initial exploration phase is estimated at $5 million (4.4 million euro), Energean said in October 2017. The concession deal was signed by the Montenegrin government in June 2016 and approved by parliament on December 28.